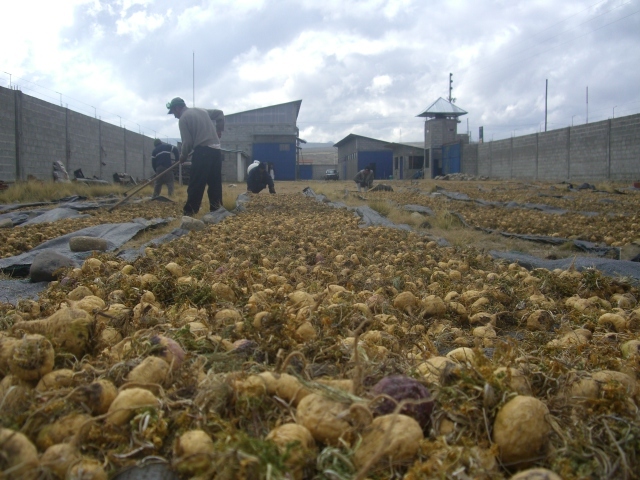 Maca gelatinazation process starts after harvest, when our Maca is left to naturally sun dry for up to three months. During this time, maca roots experience a biological transformation. The starches convert to complex sugars, leaving maca roots sweeter and more complex. The fibrousness breaks down and they take on a honeyed graham cracker flavor. Just prior to being milled into powder, maca roots soak in warm water to allow water molecules to penetrate any remaining starches. This ensures maximum absorption of over 30 vitamins and minerals and over 60 plant based phytoutrients as well as cholesterol lowering and cellular healing plant sterols. Has gone through a low temperature cooking process to obtain a low level of humidity while maintaining all its natural properties. Helps you absorb a higher percentage of the nutrients present in the product because this powder is much more digestible than raw maca. Keep in mind, in the market, you can find gelatinized maca and raw maca. With Sol Raiz Organics you get the best quality GELATINIZED maca on the market. ← What makes Sol Raiz Organics Maca superior to other Maca?